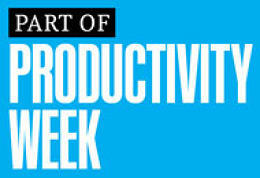 You don’t actually need to be productive all day long. In fact, you probably shouldn’t try to be. I’ve never met a person who didn’t lament the fact that they can’t seem to get enough done. We’re all overwhelmed with our work and life demands. As a result, most of us focus on trying to be more efficient. It turns out we’ve been barking up the wrong tree. Efficiency is a metric for machines and computers, and the more psychologists learn, the less we resemble computers on life support. We have brains and bodies, and we operate according to biological needs. A better metric for human performance is effectiveness, not efficiency. Our brains can be remarkably effective under the right conditions, and not so effective under the wrong ones. The more psychologists learn, the less we resemble computers on life support. Neuroscience and psychology reveal what those conditions are and how we can set ourselves up to perform better. What’s more, you don’t need to be highly effective all day long, and you probably shouldn’t try to be. These four strategies can help you cultivate just a couple of hours each day for getting your most important work done. The moment you’ve finished a task and are free to start the next one is a precious opportunity. It starts by learning to recognize those fleeting decision points. When your brain goes into automatic mode, you become less aware of your surroundings and the passage of time. That’s why the decision points in your day are so useful: They’re the moments when you snap out of it and actually make decisions about how to spend your time. It takes added effort to step back and thoughtfully consider what’s worth doing and what’s worth ignoring. It’s normal for our brains to go into autopilot while we’re at work on a task. You can learn to recognize these decisive moments and stick with them long enough to reconnect with your real priorities. Deliberately figure out what makes the most sense to do given the time on your hands and your mental energy. There’s a time and place for less important work, but keeping your larger priorities in focus helps you recognize when that time actually is, and how much of it you’ve really got. Time management isn’t just about scheduling. Not all hours are the same. Because the brain fatigues and needs rest to regenerate, the best way to get your work done isn’t necessarily by scheduling them out. Instead, pay attention to the ebb and flow of your mental energy. Some tasks deplete more of it than others. That isn’t a bad thing—it’s just your mind reacts to the world around you. But it is the first thing to understand in order to manage your mental resources. Everyone’s different. Figure out which tasks cause the most fatigue and learn how to anticipate the emotions they’re likely to elicit. You can choose when to work on what, and when to take a moment to regroup and regulate your feelings. At all events, don’t wear yourself out with a series of minor tasks before jumping into something that demands you bring your A game, like an important presentation or meeting. When it comes to productivity, our attention isn’t a spotlight. A spotlight stays put once you shine it at a certain place. Our neural mechanisms work differently. They’re designed to regularly refresh—more like a fire that flares up or dies depending on how and when it’s kindled—in order to be ready to perceive and respond to changes in environment. When we try to force ourselves to stay focused, we’ll almost always be frustrated to find our attention drifting. Figure out which tasks cause the most fatigue and learn how to anticipate the emotions they’re likely to elicit. Letting your mind wander might be exactly what you need in order to regain your focus. It’s just a matter of choosing how and when to indulge in mind wandering. Reading the sports page or checking social media can distract you for half an hour or more, whereas staring out the window until you snap out of your daydream will probably have you back and focusing on your task in just a few minutes. The feeling of being overwhelmed is an emotion, and emotions aren’t just “in your head.” They’re also physiological. The awareness that you have more to do than you can cope with is usually accompanied by a physical sensation like a knot in your stomach. Your mind and body are intricately intertwined. That’s why exercising can be such a great way to reduce anxiety, elevate your mood, and improve your overall cognitive functioning. You don’t have to overdo it. In fact, it’s better not to work out too hard when you’re aiming for immediate mental benefits. Moderate exercise is ideal. Emotions aren’t just “in your head.” They’re also physiological. Likewise, you can eat, stay hydrated, and drink caffeinated beverages in ways that help set up the conditions for your being more effective when it’s important. Smaller meals consumed more often, a regular intake of water, and no more than your normal dose of caffeine can help you operate at your best. You know your body best. Listen to it, and your mind will respond accordingly. You can skip exercise and eat whatever you want on your downtime. But when it’s time to be on, giving your body what your brain needs to perform during those one or two hours of focus will help ensure you’re at your most effective. This article is adapted from Two Awesome Hours: Science-Based Strategies to Harness Your Best Time and Get Your Most Important Work Done by Josh Davis. It is reprinted with permission.